Emotional pain on the go. The oppressive heat of summer will be lifting soon, but that doesn't mean you have to give up being miserable! 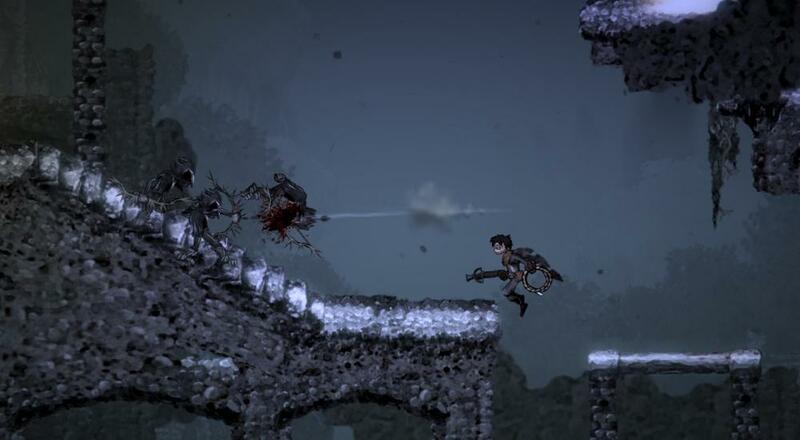 That's right, all you lucky Nintendo Switch owners can keep an overwhelming feeling of distress flowing well into fall thanks to the latest version of Salt and Sanctuary, a Souls-like from Ska Studios. Not only that, gamers can also extend said suffering to a close friend via the game's two player local co-op. Oh, happy day! Unfortunately, you will have to wait until August 2nd for the game to be released on the Switch's eShop, so consider watching the release trailer below as a means of sustaining yourself until then. I'm only mildly kidding, of course. As far as games inspired by From Software's ubiquitous Souls series go, this one is quite solid. In fact, you can read as much in our review of the PC version, which was released back in 2016. Salt and Sanctuary distills the experience down into a 2D environment, but manages to maintain that same deliberate, punishing gameplay we've come to know and love (or hate). It'll be available for $18 on on a digital-only basis upon release. That said, Ska Studios is also planning for a physical version (titled the "Drowned Tome Edition") to hit stores later this fall. Should you hold out for a physical cartridge, I'd wager you can keep that despondence going straight into next year.